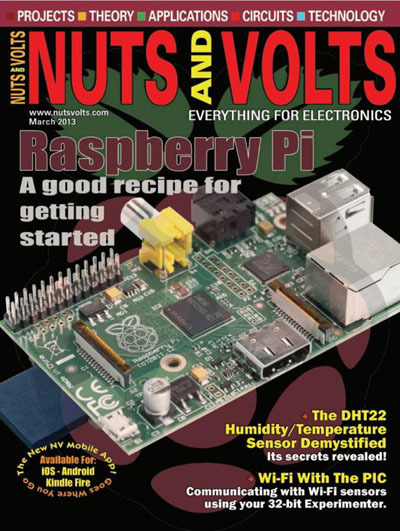 Nuts & Volts is the No.1 magazine for those seriously interested in electronics. There now remain only a handful of magazines written for the electronics community with Nuts & Volts being the highest readership, longest running electronics publication left in the US today. And we still have readers and advertisers that have been with us since the early 80s. Nuts & Volts is written for the hands-on hobbyist, design engineer, technician, and experimenter. The diversity of subjects appeals to all levels of experience and spans such topics as amateur robotics, circuit design, lasers, computer control, home automation, data acquisition, new technology, DIY projects, electronic theory, analog, and myriad microcontrollers.